As part of new Japanese Prime Minister Yoshihiko Noda’s plan to cut costs amid Japan’s massive budget deficit, the country’s government is looking to empty 70,000 psychiatric beds and significantly reduce its 1.8 trillion yen ($23.5 billion) annual mental-health budget. This is far from the first effort to reduce Japan’s dependence on psychiatric hospitals for people with mental disabilities. In 2004, Japan’s health ministry set a 10-year timetable for reduction. Since then, the country’s number of psychiatric beds fell by just 6,806, to 348,121. Japan has, by far, the highest rate of psychiatric hospitalization among developed nations. According to an extensive report by Bloomberg Businessweek, Japan has 13.5 times more psychiatric beds per 100,000 people than the U.S. and 4.5 times more than the U.K., according to OECD data. On average, psychiatric patients in Japan are hospitalized for 307 days on average, compared to just over a week in the U.S. Many disability advocates are concerned that the plan could result in people with mental disability being left with no living and medical support. 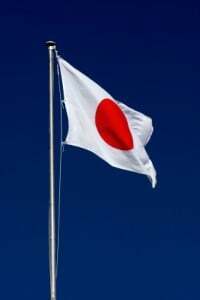 Japan has long been criticized for its stigmatization and treatment of people with mental disabilities, as well as for cases of executions of people with mental disabilities.